← Getting Ready for the 2013 Season! For those of you familiar with this site, Tim Johnson is probably a familiar name. He has administered this web site and poured countless hours into numerous ministries and projects here at Akagi Bible Camp over the years along with his wife Andrea. While we sincerely hope and fully expect that they will continue to be involved at ABC, they are about to head to the U.S. for a one year home assignment. 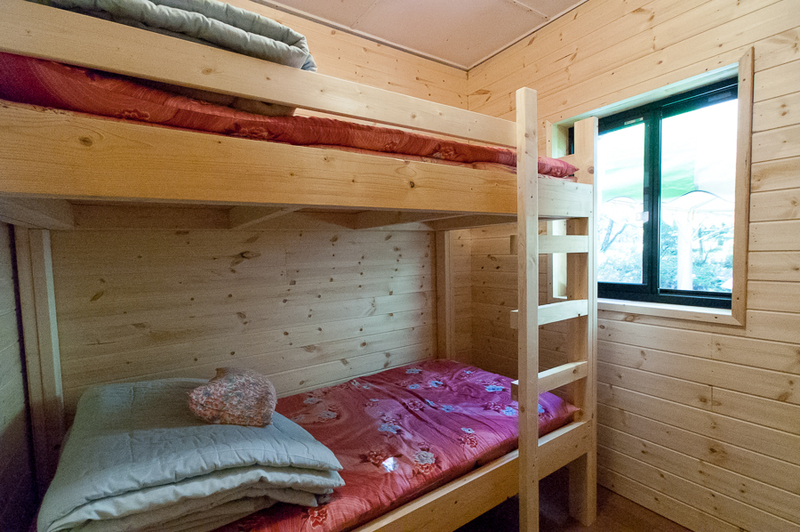 At the same time we have just moved to Akagi Bible Camp, to live here full time and serve in a variety of ways; managing the facilities and working as staff during the summer camps. Thus Tim has asked me to take over this web site and keep our many prayer partners up to date on the ministries of Akagi Bible Camp. So please allow me to introduce ourselves. We are Hydi and Jim Peterson. We have been ECC missionaries in Japan since 1993. Prior to that both Hydi and I were born and raised in Japan. Since my parents were ECC missionaries I have been enjoying Akagi Bible Camp from further back than I can remember. Here’s a shot from one of our earliest visits. 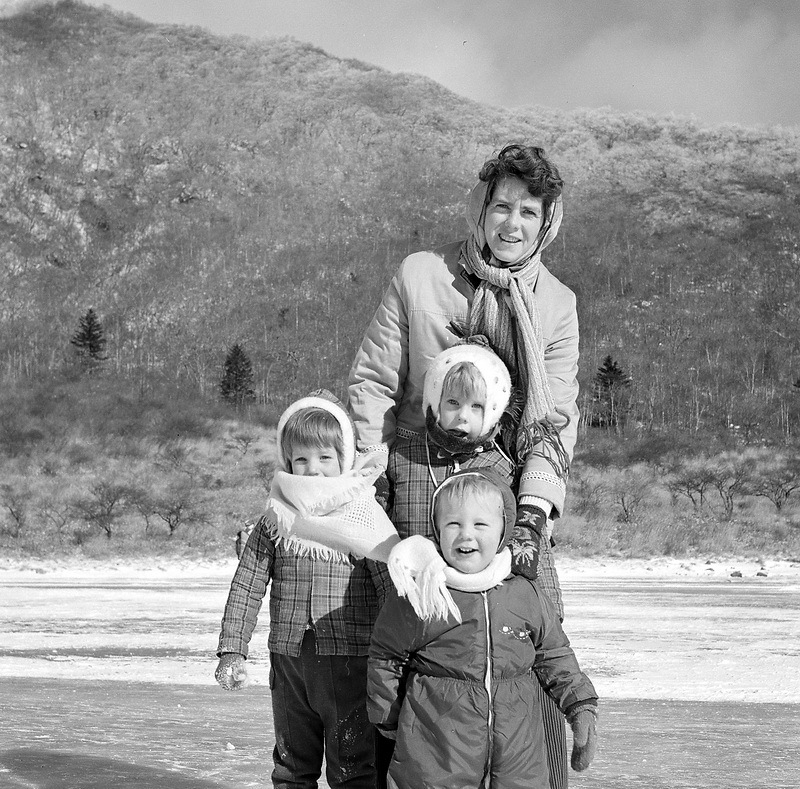 You can probably guess which one is me! Anyway, our reason for moving up here has little to do with nostalgia and lots to do with exciting ministry opportunities, a longing to be back in Gunma, and a love of nature on a scale that simply doesn’t exist in Tokyo. Ministry objectives are to support and strengthen the current camping programs during the summer, to try and increase usership of the camp facility throughout the year, and while we can’t give you a clear picture, we hope and pray that the camp will be increasingly integrated into a broad scope of new or expanded ministries as a place of gathering, a place of sacred encounter, and a place of inspiration. After spending ten wonderful years in Tokyo, we moved back to Gunma and specifically to ABC on June 16th. We still are navigating our way thru large piles of cardboard boxes but nevertheless are feeling genuinely at home in our new abode! On July 6th we were joined by volunteers from Owatonna, Minnesota, Art and Janette Hoffman. They have been an incredible blessing to us during their one week stay and we will be sad to see them go this weekend. Coinciding with their visit was the annual ABC Work Camp, a time when volunteers from a number of our Japan Covenant churches come up and spend several days getting the camp ready for summer camping season. This year we were blessed with a crew of about twenty and we spent the better part of three days cleaning, airing out, building, fixing and whatever else was needed. Janette was all over the place, cleaning and scrubbing with a passion. Art headed up the carpentry department as we refinished the last of our residence rooms. 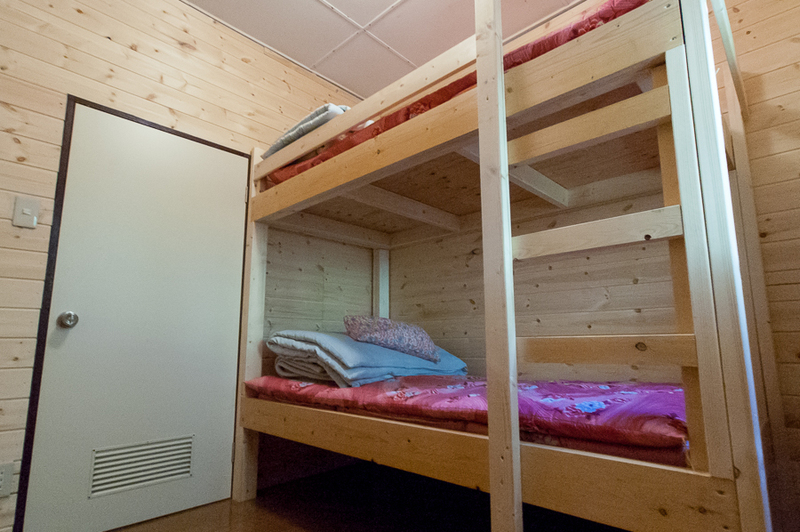 This particular room is quite small but provides crucial housing for staff or campers and currently we are in need of every bed and pillow we can muster. During some of our bigger camps this year we will need to move all of the staff over to our house and using practically every one of the 45 beds for campers and counselors. Here are a couple shots of Art’s handiwork! We have the privilege of living in a large home on the camp grounds. Some day it too may be used to house campers but for the time being we are calling it home and will be sharing it with camp staff as well during the summer. Lunch at our house on the first day of this year’s work camp. Thanks for taking the time to visit our site. 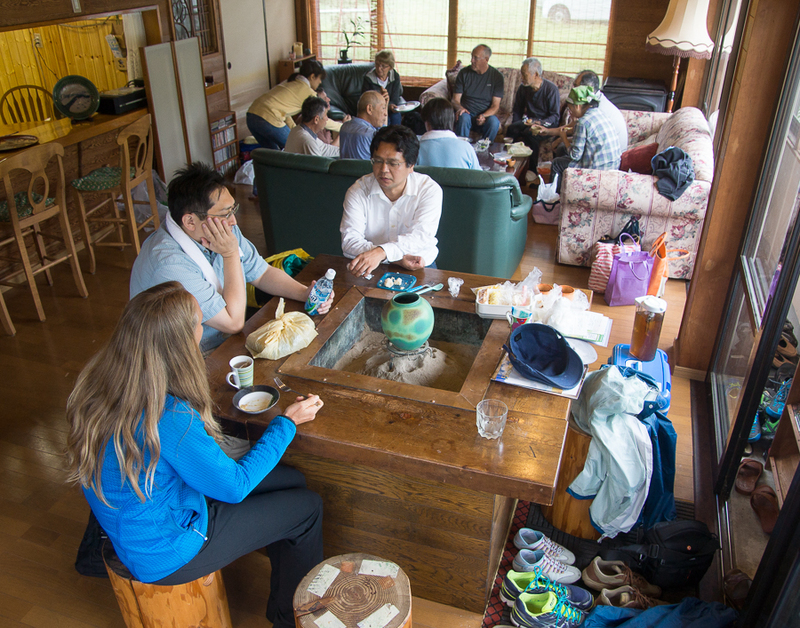 We ask for your continued prayers and support for the ministries of Akagi Bible Camp. If you ever have the opportunity, we would love to have you here for a visit! This entry was posted in Work Camp and tagged ABC, Art Hoffman, Tim Johnson, work camp. Bookmark the permalink. 2 Responses to Greetings from the mountaintop!